The Bartender Basic Edition offers a rich set of features allowing you to create labels quickly for most label printers. 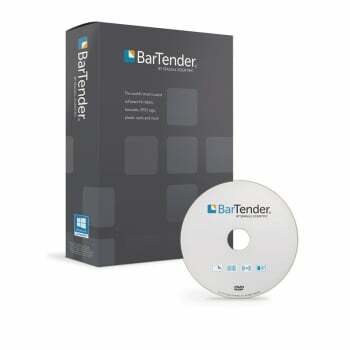 This license if for use on 1 PC and Bartender Basic includes the most frequently used label design features, including all text graphics bar code and most serializing capabilities. Useful for keyboard and scanner-supplied label data only. Most card printing functions but only encodes magnetic stripes. Print Station is the only included Companion Application. No access to external data. Excludes all features omitted from Professional plus no Batch Maker.